Hi everyone! Welcome back to another Dream. Create. Inspire. Link Party! If this is your first time here to this link party it is hosted by five different bloggers (me included). Our party starts every Tuesday night at 8pm (7 CST) and runs through Friday night at 11pm (10 CST). For the next 3 days, a lot of bloggers will link up their favorite DIY projects, gardening and decorating tips, recipes, crafts, travel tips and more. Just click on the links below and it will take you to that bloggers post. Please keep checking back throughout the week so you don’t miss any posts! Link parties are a fantastic way to meet other bloggers and get inspired! It’s an exciting week here at Dream. Create. Inspire. Link. as we are adding a new co-host! I’m sure many of you know Samantha from Little Bits of Home. This creative gal will be hosting with us every week. If you don’t know her yet, meet Samantha! 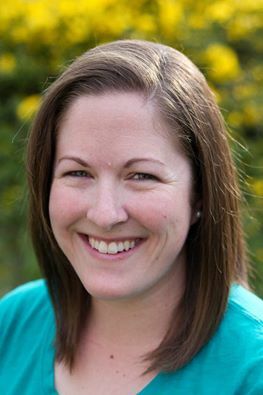 Hi, I’m Samantha and I blog over at Little Bits of Home! My husband and I got our feet wet in the world of DIY after purchasing a foreclosure as our first home. We both enjoyed the time spent working together and making things fresh and beautiful! We have since moved to the other side of town and have been putting our stamp on our new home ever since, documenting it all on the blog, of course! When I’m not working on the house, you can find me chasing my two kids, enjoying a long walk, (loudly) cheering for the Patriots, drinking copious amounts of coffee, and catching up on my favorite home blogs. I’m excited to see all the amazing projects you all post each week! Jenny’s feature is… DIY Plans for Rope Spool Table from Cher-Ann @ Studio C for Domestically Speaking. 5. 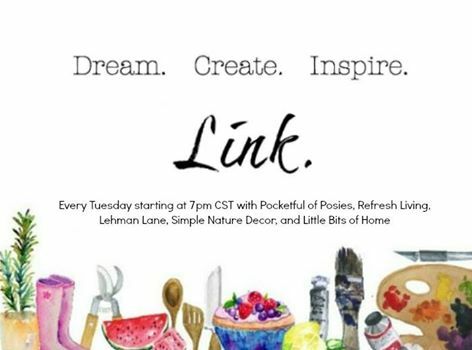 By linking to this party you are giving Pocketful of Posies, Refresh Living, Lehman Lane, Simple Nature Decor, and Little Bits of Home permission to feature one picture on our websites, social media, and blogs. Proper credit will always be given to you. Neither Pocketful of Posies, Refresh Living, Lehman Lane, Simple Nature Decor, or Little Bits of Home is responsible for stolen and/or misused images, misused projects and ideas. So glad to have you Julie! Thanks for the party, Tara! Have a great week! Thanks so much for joining the party Handan!